An open letter to single mums, thank you for everything. Dear single mums, thank you for everything. I’m not quite sure how to begin, I just know I want to say this. You see, I finally think I’m seeing the whole of you mum and I want to thank you. For the past six months I have sat next to a wonderful colleague, who’s a married mother to three teenage girls. For the first time in my life I have been able to see what motherhood is like from the parental perspective. There have been days when she’s come into work in tears after a fight she’s had with her daughter that morning. Talking to her about her kids made me realise (and I am very aware this may sound ridiculous) parents are in fact real life human beings with feelings, who will feel sad if their child is being nasty to them, who will worry about small things and big, who do all these things for their kids, everyday, without their children even realising. And you did it all by yourself mum. Growing up I never felt like my childhood was any different to anyone else. My brother and I were raised solely by my mother from a young age and I never felt like I was missing out on anything. 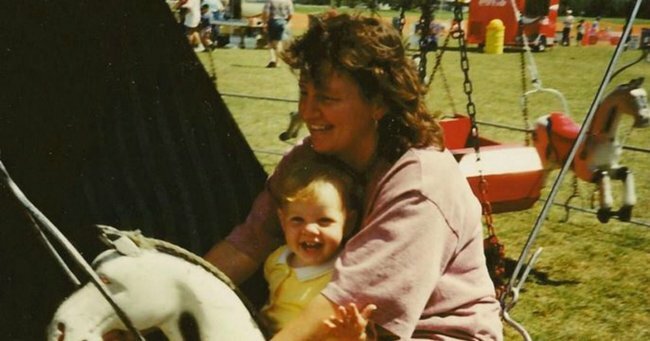 Now, at 22, I realise mum assumed the role of both parents so seamlessly, effortlessly that she was all we ever needed. Me and my beautiful mum. Image supplied. While we were growing up, until I was well into my teens, mum only ever worked part-time so she could be around for me and my brother, whether that be after school or helping on school trips. She made it work, and I honestly don&apos;t know how. This has been playing on my mind for quite some time now. As a fully-fledged adult no longer dependent on parental support (i.e. cash from mum), I struggle to wrap my head around how she could afford to bring us up while paying off her mortgage and making us feel like we never missed out; all while I currently live payday to payday. Unlike me, Mum is not a materialistic person. She&apos;ll wear the same clothes for years, only throwing them away when they&apos;ve &apos;had it&apos;, and while we weren&apos;t showered in a constant stream of new clothes, we always had everything we needed. Quite simply put, single mums are the best money managers out. Because they have to be. What was the last thing your mum texted you? We reveal ours below. Post continues after video. They forgo the little luxuries in life and give to their kids instead. When your kid needs new sneakers every sport season because their feet are growing at a ridiculous rate it doesn&apos;t make sense to have your hair dyed at a salon when you can dye it at home for a fraction of the cost. Mum had her hair dyed at a salon last week for the first time since before I was born. That was 1993. Single mums will drive around to all the supermarkets scouting out the specials, stocking their cupboards and freezers with months worth of the same product instead of buying them full price. Homemade soups and relishes were a staple in my household growing up, I always knew it was nearly winter on the Sundays mum spent making tomato relish. We were lucky enough to have a bunch of older cousins growing up, which meant we were constantly &apos;gifted&apos; with hand-me-downs. Mum would even wear hand-me-downs from one of my older cousins and she would spend night after night altering the clothes so they would fit us. My brother even got a hand-me-down (but still in great condition) bike for Christmas one year. He was ecstatic and none the wiser. My brother and I circa 1997. Image supplied. Mum, how did you do it? How were you always so kind even when we were being little brats? How did you always make us feel like we could do and be anything we wanted? It&apos;s because of you I felt like I could chase my passion all the way to Sydney from a small town in New Zealand. It&apos;s because of you I became the first in our family to graduate from university. Something you always told my brother and I you regret not doing and insisted we do. It&apos;s because of you my brother is now at university and I&apos;m in the career I always wanted. You made all these things possible. For the children of single mums, their mum is everything. Their rock, their world, the one person they can see on a bad day and know everything&apos;s going to be okay. But they may never tell you this. I&apos;m only telling my mum now. Some days it may feel like they&apos;re pulling away or they&apos;re distancing themselves. Let them. We will come back. Some days we just need space, like any other kid. Just remember the good days will always outweigh the bad and one day we will be sitting at work, or on a train, or walking home after a night out with friends and we will start thinking about you, and all these little pieces will fall into place, and we will realise all you&apos;ve done for us. Mum and I at my graduation. Image supplied. I look around at my friends, many of who were brought up by single mothers, and see some of the most intelligent, kindest and independent people I know; all a reflection of the women that raised them. I was so lucky to be surrounded by these strong female role models growing up, it has made me into the woman I know I want to be. Some of my friends call my mum superwoman, because that&apos;s what she is. To raise children on your own is a super power. I asked her about our life growing up and if she ever felt like she went without. She said she never did and if we did go without it, they were only small, insignificant things. Mum said we were rich in the things that mattered: warmth, security and love. And I couldn&apos;t agree more.